Switch - Horn/Kill. 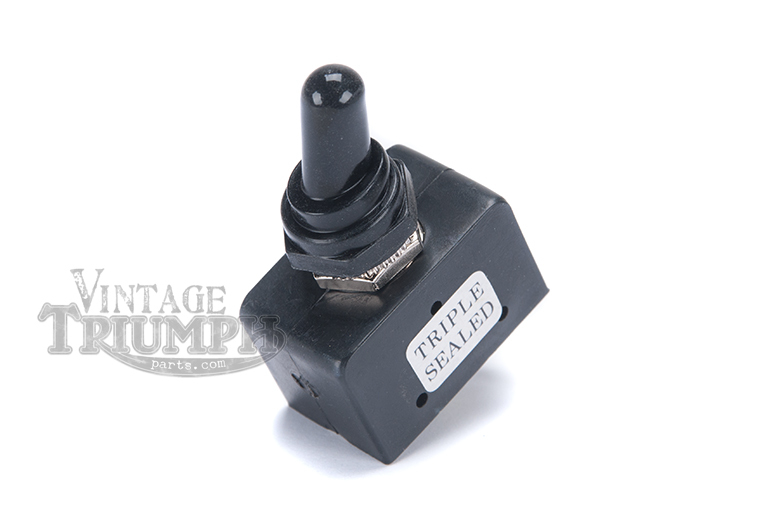 Chrome Push Switch For 7/8" Handle Bars Can Be Used As Horn Or Kill Switch. Switch - Horn/Kill 1". Chrome Push Switch For 1" Handle Bars Can Be Used As Horn Or Kill Switch. Correct For Triumph Models With 1" Handle Bars. Completely waterproof. On-off switch Triple sealed. Even the toggle has a rubber flexible water proof cover. Perfect for a tractor that has to be kept out in the weather. Very heavy duty. 12 volt 20 amps with two poles. On - off. 6 volt 30 amp.